Course architect Jason Straka, of Fry/Straka Global Golf Course Design, said the renovations are designed to enhance playability and improve maintenance conditions. 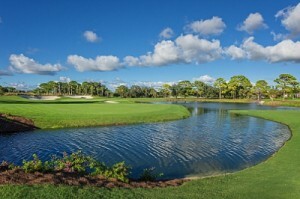 The new Heron Course will play between 4,185 and 6,825 yards, slightly longer than the current 6,695 yards. 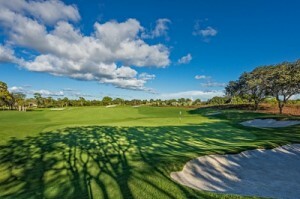 “The revitalized course will have new surface contours, better constructed and strategically placed sand bunkers, interesting greens complexes, and a new teeing system that will accommodate players of all skill levels,” said Straka, who redesigned the course on behalf of Hurdzan/Fry Environmental Golf Course Design. Other design changes include a brand new irrigation system, a new drainage system, state-of-the-art greens construction, new and improved turfgrasses and new landscaping. Director of Golf Tim Beckwith said the redesigned course includes many other features that golfers will see and enjoy, such as large, tightly mowed chipping areas, fewer bunkers, forgiving fairways, shorter carries over hazards, and new and larger tees at a wide variety of distances. “The timing was right for a redesign since the original Heron Course was 31 years old,” he added. Oaks Club members approved the project in late 2013 and construction began in mid 2014. The project was completed within budget and on schedule,” added Bogatay. The reopening of the course is scheduled for November 20. “This team project involved the two Heron Committees, course architect, present and past Board of Governors, club personnel and the numerous contractors and suppliers,” he added. The Oaks Club is a private country club community developed on more than 1,000 acres situated on the east and west sides of U.S. 41 in Osprey, Florida, just 12 miles south of downtown Sarasota. It was recently awarded the prestigious Distinguished Gold Club of the World award, a program conducted by BoardRoom magazine, one of the most respected trade publications serving private clubs. Club amenities include the Heron and Eagle championship golf courses, a 40,000-square-foot Georgian-style clubhouse with three restaurants, 12 Har-Tru tennis courts, pool complex, croquet, guest lodge and an active social calendar.